One of the biggest challenges in integration projects over the years is how to manage the relationship between the implementation of your solution and the documentation describing the intention of the solution and how it works and how to look after it. How do we relate the documentation to the implementation? How do we keep the documentation up to date? How do we make it transparent and accessible? Ever since the guys at Mexia in Brisbane introduced me to Confluence, I have been a huge supporter of using this for integration. I have found the shift from people working over email and in word documents to truly collaborating in real time in Confluence to be one of the biggest factors for success in projects I have worked on. The challenge still remained how to create the relationship between the documentation and the implementation. Fortunately with Azure we have the ability to put custom tags on most resources. This gives us a very easy way to start adding links to documentation to resources in Azure. In the below article Ill show how we use this with a Logic Apps solution. In this particular case most of our solution is encapsulated within the resource group. This works great as we can have a document describing the solution. Below shows the confluence page we have outlining the solution blueprint and how it works. This solution documentation can then be added to the tags of the resource group as shown in the picture below. Next up we have the interface specification from our interface catalogue. Below is an example page from confluence to show a small sample of what one of these pages may look like. The specification will typically include things like analysis, mappings and data formats, component diagrams, process diagrams, etc. In the logic app we are able to use the tags against the logic app to create a relationship between our documentation and the implementation. In the below example I have added a link to the solution blueprint the locig app implements and also some specific documentation for that interface. Next up we have application connector and API documentation. In the resource group we have a set of API connectors we have created. In this case we have the SQL one for connecting to our SQL Azure database as shown below. In its tags we can now add a link to a page in confluence where we will document specifics related to this connection. In this particular case one of the interesting things is how we will be using the MERGE command in SQL to upsert a record to the database, we have documented how this works in Confluence and we can easily link to it from the SQL connector. Below is an example of this documentation. 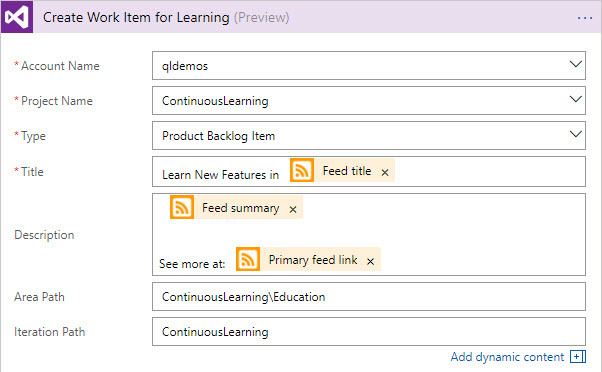 In summary you can see that tags enables us to close the gap between implementation and documentation/guidance. This is a feature we should be able to use a lot! We are happy to announce the 6th Cumulative updates BizTalk Server 2013. This cumulative update package for Microsoft BizTalk Server 2013 contains hotfixes for the BizTalk Server 2013 issues that were resolved after the release of BizTalk Server 2013. We recommend that you test hotfixes before you deploy them in a production environment. Because the builds are cumulative, each new update release contains all the hotfixes and all the security updates that were included in the previous BizTalk Server 2013 update release. We recommend that you consider applying the most recent BizTalk Server 2013 update release. We often get this question asked what’s are the restrictions of BizTalk Server Standard edition. I thought of highlighting the key restrictions that are applicable to BizTalk Server Standard Edition here. You cannot deploy more than 5 BizTalk Applications in a single environment (this excludes the default BizTalk.System application). This is not a great restriction since BizTalk applications are just logical containers to group artifacts together (receive locations, send ports, schemas, orchestrations, policies etc). There is nothing stopping a customer from deploying all the artifacts inside one or two applications. In fact, this restriction results in some of the bad practices in BizTalk Application deployment. In our opinion, a better restriction will be restricting the number of artifacts like “x” number of orchestrations, send ports, receive locations. You cannot have more than one server in a BizTalk Environment. This is the one that forces most of the customers to move to BizTalk Server Enterprise edition. This restriction basically results in not having high availability for your BizTalk environment, if the server goes down, your environment is down. You cannot have more than one MessageBox in your environment. Scaling MessageBox is required when you have a high throughput scenario. It’s not really big impact in BizTalk Standard Edition case since you are restricted to only one BizTalk server and hence you can only handle so much load anyway. You cannot have more than 8 cores on the server. Again this restricts the scalability of your BizTalk Environment to limited processing power. In a nutshell, the BizTalk Standard edition is designed for customers who want to take advantage of the integration platform but not concerned with scalability and high throughput. Hope this would be helpful. Please feel free to let me know your feedback on this Integration weekly series. Why checking if Windows Defender is running on BizTalk Server, or another anti-virus, is important? I have been creating several BizTalk Server 2016 Developer environments on Azure using Azure Virtual Machines, normally I tend to be careful in choosing the VM Disk type – SSD can be expensive – and the size of the virtual machine – I would love to use a 4-core machine with 28GB but still using a HHD disk it will cost me near 430€ per month – so, because of the pricing I’m usually choose a modest machine from 1-core and 3.5 GB RAM or up to 4-core and 8GB RAM. They tend to be a little slow, so tuning it well is important for archive a better performance and by default Windows Defender is configured on that machines. Not only as a negative impact in the general performance of the machine but also can have a huge impact on BizTalk Server performance. Indeed, anti-virus can have a huge impact on BizTalk Server performance and normally the best approach for BizTalk Server environment and anti-virus software is using a perimeter based approach, where you normally don’t run the anti-virus software on the machine itself but protect the boundaries. I like to use this approach but if not possible, at least you should configure antivirus software to avoid real-time scanning of BizTalk Server executables and file drops. Antivirus software real-time scanning of BizTalk Server executable files and any folders or file shares monitored by BizTalk Server receive locations can negatively impact BizTalk Server performance. If antivirus software is installed on the BizTalk Server computer(s), disable real-time scanning of non-executable file types referenced by any BizTalk Server receive locations (usually .XML, but can also be .csv, .txt, etc.) and configure antivirus software to exclude scanning of BizTalk Server executable Files. However, one of the first steps while doing one BizTalk environment performance, or even a basic, assessment is to find out if there is any Anti-virus running on your BizTalk Server. Write-host "Windows Defender was not found running on the Server:" $env:computername -foregroundcolor "Green"
Write-host "Windows Defender was found on the Server:" $env:computername -foregroundcolor "Cyan"
Write-host "Windows Defender Real Time Protection was successfully disabled" -foregroundcolor "Green"
Write-host "Nevertheless Windows Defender is still running"
The script, not only allows you to check if Windows Defender is running on BizTalk Server but, if the Windows Defender is running and you have Real Time Protection enabled it will allow you to disable this feature if you want – nevertheless, by disabling it the Windows Defender will still be running, the only thing is not doing is a real-time protection to scan everything you download or run on Server. THIS POWERSHELL IS PROVIDED “AS IS”, WITHOUT WARRANTY OF ANY KIND. In the past, I wrote a blog post about Configuring BizTalk Server Host and Host Instances according to some of the Best Practices and I already have available online two PowerShell scripts for you to download: PowerShell to Configure BizTalk Server Host and Host Instances and PowerShell to Configure BizTalk Server 2013/2013 R2 Host and Host Instances. The problem of these two scripts is that they only do 90% of the work and they are intended to be used on “day zero” of your environment, i.e., after you finish installing your environment. Don’t get me wrong, you can still use it if you have your environment up and running for a long time but in this case, you will get several error messages while the script tries to delete the handlers associated with the adapters and the reason is that you probably have already several receive and send port that is configured to use the existing “default” handler: “BizTalkServerApplication“. With these missing functionalities added the script is now working 100% and you can use it on “day zero” of your environment or when in an existing environment with existing BizTalk Applications configured and running. The only catch is, if you already have BizTalk Application running in your environment, in order for the script to do all the steps you may need to stop all your BizTalk Applications, special the ones that have orchestrations deployed. And one of the reasons why is that for example if you cannot change the Receive or Send handler of ports that are bind to an orchestration, if, the orchestration is running. What is Host and a Host Instances? The BizTalk Host is a logical process and security boundary within BizTalk Server that represents a logical set of zero or more run-time processes in which you can deploy BizTalk Server services and artifacts (such as adapter handlers, receive locations, and orchestrations). Each host has a security group assigned to it and may contain multiple host instances, each on an individual machine, that perform the work of the host. In another hand, a host instance is the physical instance of a host on a computer running BizTalk Server. Each host instance belongs to exactly one host, and the service account of the host instance belongs to the security group of the host. The security group may be used to grant permissions to physical resources such as databases for use by any host instances in the host. What is an Adapter Handler? The default BizTalk Server configuration will only create one in-process host, “BizTalkServerApplication”, that will be associated as a receive and send adapter handler for all of the installed adapters, with the exception of HTTP, SOAP, WCF-BasicHttp, WCF-WSHttp and WCF-CustomIsolated adapter receive handlers that can only be running in an isolated host. How can I automate this task? Windows PowerShell is a Windows command-line shell designed especially for system administrators and can be used by BizTalk administrators to help them in automating tasks. After the previous Logic Apps live webcast back in May 2017, the team were back just in time for their webcast on July 26, 2017 – a day before Logic Apps went Generally Available (GA) one year ago! Yes, Azure Logic Apps officially turns 1!! A huge round of applause and shout out to the team at Microsoft for giving a great product offering. This episode of Logic Apps live webcast had Jeff Hollan, Kevin Lam and Jon Fancey giving the recent updates that have rolled into the product. Happy Birthday Logic Apps! You’ve turned 1 and have a long way to go! The Logic Apps team is conducting a very unique, first of its kind Hackathon event on September 5, 2017 at Microsoft Times Square office in Downtown, Washington. This hackathon will focus on Azure Functions, Azure Logic Apps, Azure App Services, API Management and more. If you are interested to attend this hackathon, send the Logic Apps team a Tweet (DM), email. Export Logic App in Visual Studio – When you open a Logic App from Cloud Explorer in Visual Studio, you can export the Logic App to your Visual Studio project. This will create a file on your file system of the Logic App as an ARM template. You can import this template into the Visual Studio and start using your Logic App within Visual Studio. Webhooks in Foreach loop – Previously, it was possible to have Webhooks across the Logic App and now the functionality has been extended to the Foreach loop. You can have as many Webhooks in your foreach loop. Service Principal Authentication (Azure Data Lake and ARM) – If you are using any resource templates, one of the biggest challenges with some OAuth connectors is that you have to give your consent by signing up and giving Logic Apps the permission to access your connection details. This is a challenge when there are numerous deployments. Instead, now when you try to connect to Azure Resource Manager or Azure Data Lake, you can now connect using the Azure Application Service Principal. All you have to do is provide a secret key that has access to the application. Soon, this functionality will roll out to Office365 connectors, Dynamics connectors and SharePoint connectors. Array handling in designer – Let’s say you have a situation where you have an output from one of the Logic App steps and you want to input the actual array object instead of the actual elements, this operation is now possible in the Logic Apps designer. This is best implemented now in the “Send Email” step where you can add multiple attachments as an array. Batch Processing – Jon Fancey demonstrated this functionality at INTEGRATE 2017 where users can group things together (arbitrarily). Variable decrement – In addition to initialize and increment (discussed in the earlier Logic Apps Live webcast), and the Set functionality explained here, the Logic Apps team have added the “decrement” capability to variables. The team will be adding support for more variable types in the coming weeks/months. Run history compressed view – When you click the Run History section, you will see a compressed view of the actual run history that lists the failed runs for you to easily act upon. Action Configuration settings (splitOn, retry policy, timeout, sequential flag, disable async polling) – All these operations (that are configurable) can now be performed right from the Logic Apps Designer in the Trigger Configuration settings. Server side paging (eg., SQL) – For instance, SQL has a page size limit of 256 rows in a request. Say, when you query more than 256 rows, only the first 256 rows would be fetched from the database. Now you can enable Server Side Paging from the Designer where there is a configurable value and you can retrieve the number of rows depending on the value that is configured. Expression Authoring – You can build your expression functions from the designer, and all other expressions are listed right in the Designer. It becomes easy for you to find the expressions. Smart tips – There are hints now available in the Logic Apps Designer that will remind you to perform a very important action. XSLT Byte Order Mark config – When you use the Transform action, you will normally get back the XML and along with it, you will receive the byte order mark. The Logic Apps team has now in fact cleaned the code in such a way that you can now opt out from receiving those byte order mark in addition to the XML. Open Sourced Templates – You can submit New / update the existing Templates at github.com/azure/logicapps. The Logic Apps team will review the templates and publish them accordingly. 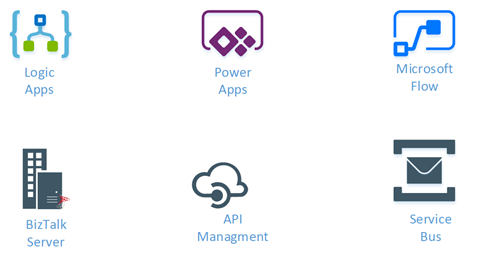 ARM Invoke and Service Principal – The ARM Invoke is super powerful. For any Azure Resource that you have access to, you can easily Start/Stop the VM, etc. Foreach nesting in the designer – This was a backend capability that was recently released but this capability will soon be incorporated into the designer. Foreach failure navigation – Say, you have about 1000 iterations in the foreach loop and 5 of them actually failed, you have to look for which one actually failed. Instead, you can navigate to the next failed action inside a for each loop easily to see what happened. Logic Apps OMS Package – You can monitor all the Logic Apps using a B2B solution within the Operations Management Suite (OMS). The preview of this OMS dashboard will be available within the next month (before next Logic Apps live webcast). You can bulk resubmit at the same time. Integration Bootcamp on September 21-22, 2017 at Charlotte, North Carolina. This event will focus on BizTalk, Azure Logic Apps, Azure API Management and lots more. INTEGRATE 2017 USA – October 25 – 27, 2017 at Redmond. Register for the event today. Why attend INTEGRATE 2017 USA event? Jim Harrer (Pro Integration Team Program Manager, Microsoft) and Saravana Kumar (Founder/CTO – BizTalk360) give you a heads up as to why you have to attend INTEGRATE 2017 USA event. With this release of BizTalk360(v8.5), the user can customize email template. The earlier version of BizTalk360 only has a capability to change the color of the email body, font, logo, background, footer background etc. Most of our customer had requested to customize the email alert with more comprehensive improvements, so we have revamped the email template module with more additional functionalities to simplify and customize the email notification. This allows to create and manage custom templates for notifications. • grab the support team’s attention to take on the relevant actions. • choose different theme templates to indicate different business cases. • easily identify which template belongs to which environment. So, let’s us look how to create a template in the newer version of BizTalk360. In BizTalk360, Manage Email Template can be found in the monitoring and notification section of setting side. While installing the newer version, the default template “BizTalk360 Email Template” will be used for all the existing or newly created alarm. For creating a new template, click on “NEW” icons as shown in above picture, a blade opens for providing the basic details like template name, description of the template, toggle button for making it as default template as shown in the picture below. In the following section, the user can edit and provide their own data like display name, email address, logo text, footer text etc.same as previous versions for a better manageability. Initially, BizTalk360 provides a default template “BizTalk360 Email Template” with a light elegant theme. Themes are also available in two variants light and dark. A user can able to choose light or dark theme while creating a template. However, the earlier version of BizTalk360 email colors are chosen by selecting colors from color picker and here we came up with the idea of providing “themes” instead of simply selecting the color code for the email template. We are not restricting the user to simply selecting light or dark theme, we have also provisioned to edit the themes. Under the edit theme color settings, a user can choose 6 Body BG color which represents different themes for light and dark. Once the theme is selected, “PREVIEW TEMPLATE” option is being provided to cross check the desired changes on a new blade. Once the template is created, it will be displayed in the main grid of Manage Email Templates page. BizTalk360 uses XSLT (eXtensible Stylesheet Language Transformations) as a styling language for customizing the email template. The XSLT file editing option is being provided to a user for changing font family and font size. “Please do not change any logic in XSLT file, as this might corrupt the mailing functionality”. This facility is available in the edit section of each template by clicking the edit gear icon. Once the changes are made in the XSLT file, the inbuilt XSLT validator verifies the XSLT file and allows the user to save the file after successful verification. The “Preview Template” option is provided in edit section to make sure the desired changes have been made in XSLT file. In the alarm configuration section, we have customized for a user-friendliness to choose the template that has been created at the manage email module. Also, we made the notification channel to be available in the Alarm configuration page itself. We have made the email configuration optional if the notification channel is being enabled so that either one of the choices can serve the purpose. BizTalk360 already had a feature to format email template, with its latest release v8.5 it fills the gap by adding the ability to customize, create and manage template for different alarms based on user preference. Keep your mailing color codes intact with your thoughts using our customized email template feature. If you have any feedback or suggestion, please feel free to write to us at support@biztalk360.com.